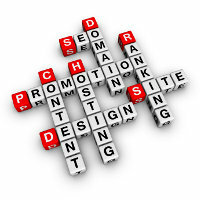 There’s a lot to consider when setting up a website – domain names, page design, content and hosting to name but a few. We can take care of as much of this as you like, so all you have to do is view your finished page and see what you think. And we’ll keep fine tuning the design until it’s right for you. We don’t just specialise in brochure sites though. If you want an online shop, forum or a secure login area for your site, we can set those up to your specification. Contact us if you want to know more. Domain Names: As well as registering your domain name we can provide advice on picking the right one. Web Design: We’ll design a site that suits your needs and preferences, using the latest techniques and standards. Content: What goes on your site is up to you, but we’ll help you organise your pages and provide feedback. We can also select the right CMS for you so that you can update it yourself. Hosting: We can host your website for you, and provide you with email addresses for your domain. Interactive Features: We can add any special interactive features you require for your site.